Because I am a survivor of a childhood cancer called neuroblastoma and a Registered Dietitian (RD), I have often been asked for advice about diet during treatments and recovery from childhood cancers. However, I always feel professionally inadequate in this situation and try to refer these families or organizations to the few RDs around the country who specialize in pediatric oncology nutrition and are actively working with this unique population of cancer patients. Finally, the wonderful dietitians who work at St. Jude Children's Research Hospital have put together a series of teleconferences that will cover the many details involving specialized nutrition for children with cancer. These teleconferences are free of charge and will be recorded for future listening. A series of Pediatric Teleconferences in Childhood Cancer Nutrition will start from the middle of October and continue until November 2009 by staff dietitians at St Jude Hospital. Each Teleconference will be offered on Friday at 8-10am CST for 1 month (four 2 hour sessions). The presentation will be broadcast live through the website www.Cure4Kids, and it will also be recorded. Anybody interested to participate in the workshop should register to get announcements via Email for each workshop session. 3. Click on "WebCasts on Nutrition for Pediatric Oncology"
Being raised in Toledo, OH, where the entertainer Danny Thomas who founded St. Jude Children's Research Hospital (which opened in 1962) was also raised, I have always had a 'soft spot' in my heart for this special place for ill children and their families. My own childhood cancer diagnosis and treatment were way back in 1950, before St. Jude's existed. I know that my own parents would have benefited from the caring environment extended to family members whose children are treated there, and I would have benefited from their follow-up care, both of which have always been part of the mission at St. Jude's. So, I offer many, many thanks to the dietitians (and all the staff) at St. Jude Children's Research Hospital! Your dedication to helping ill children and their families is legendary. These teleconferences will help countless families who have many questions about how to help their child eat well to fight the cancer, minimize treatments side effects, recover from cancer, and continue growing to become truly well and healthy. I think I might have skipped posting a couple menus over the past year (and last month we did have a potluck dinner), but here is what we had to eat last night. We viewed and discussed short documentaries related to food and water concerns in Michigan. Inspired by ALL the zucchini available for sale at the Farmers' Market in August! Garnish with chopped herbs or edible flowers. Sauté onion and garlic over medium high heat in a large soup pot for a few minutes. Be careful not to burn. Add zucchini, corn (or rice), greens, and broth in the large soup pot. Bring all to boil. Turn heat down to medium. Simmer for 15 minutes. Puree (or use immersion blender). If using a blender, be careful not to fill it more than half full to keep from possibly burning yourself with hot soup bursting out of the top. Clean out your soup pot (or use another to put the pureed soup into. Then add curry, mustard, and yogurt to taste. Best if made early in the day or, if possible, a day ahead to allow the soup to fully chill and the flavors mingle and develop. Can easily be doubled for a large group (I did this). 1 Tbsp. lemon juice (fresh is best - use the lemon that you zested). In a large bowl, combine the berries, sage, sugar, and lemon zest. Let sit for 30 minutes. Line 12 standard size muffin cups with paper liners. Stir flour, baking powder, baking soda, and salt into a large bowl. Wisk together the egg, yogurt, milk, oil, and lemon juice, then add to the blueberry mixture. Pour the blueberry mixture into the flour mixture, stirring just until dry ingredients are moistened. Do not overmix. Fill each muffin cup to within 1/2 inch of the top. Combine sugar and cinnamon for the topping and sprinkle some on each muffin. Bake for 25 minutes, or until muffin tops spring back when lightly touched. 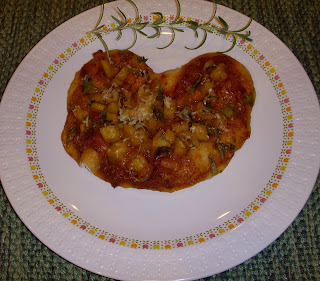 This recipe is the most requested page on my web site www.CancerRD.com! 2 cups fresh parsley- minced (can use your blender or food processor for this, or a chef's knife also works great ). In the summer, I use half parsley and half fresh mint. Don't worry about the amount - more is better here. Pour the boiling water over the dry bulgar in a medium to large bowl and let sit ~1-2 hours until water is absorbed. Drain very well using a colander (at least an hour). I even use a colander lined with cheesecloth so that I can squeeze the last water out of the grains. Bulgar will now be light and fluffy. While bulgar is soaking, chop all the other ingredients. Once bulgar is drained, mix all the ingredients together in a very large bowl. Chill for several hours or overnight prior to serving. With the first mouthful, I promise to practice loving kindness. With the second, I promise to help relieve the suffering of others. With the third, I promise to see others' joy as my own. With the fourth, I promise to learn the way of non-attachment and equanimity. There was a moment of silence as we all personally contemplated such a 'tall order'. Then relaxing, we shared and savored our food, our friendship, and our stories. Summer nearly over? Teachers and students starting to think about getting back into the classrooms (or already there in some parts of the country)? We even have a few trees already starting to turn into their autumn colors here in Michigan. How can that be? I decided I needed an end of summer breather from all the "heavy" stuff in many of my other postings. You probably do, too. So grab a glass of iced tea or just cold water steeped with fresh mint leaves, take a break, put your feet up, and enjoy some of my favorite images of mid-August. Picking up friends on the way to blueberry picking. Of course, first we have to stop to admire each other's gardens. Blueberry bushes at The Blueberry Patch in Grass Lake, MI. I'm sorry the photo does not do justice to the load of berries. It has been a fantastic year for picking! These are all organically grown blueberries. I asked the owner one year what conventional growers got by spraying that he didn't. Without missing a beat, he responded this way; "Twice the yield and half the flavor!". I believe him. The taste just explodes in my mouth. Worth the price ($3.50/pound) and worth the drive. My second picking this year, 7# this time, 5# last time. We gorged ourselves on fresh berries, freezing the rest. We'll use them in our smoothies all winter long, plus mix into muffins, put on top of cereal, sprinkle on top of a bowl of our home-made applesauce, and even pour a few frozen ones out of the bag right into our mouths for a small sweet treat. Yes, it was a "blue-tiful" morning. Both friends want to go next year, too. I love having events to look forward to. It's a date! Next, a few scenes from our community garden. It is "mess" this year with so much going on with our new house, but we still love it and are harvesting. Sometimes we do what I call "speed-gardening". Stop by, weed, weed, weed "the worst" and harvest, harvest, harvest "the best". A far cry from how I like to garden, but it is the best we can do this year. Next year we'll finally be gardening right out of back door - My husband and I can't wait! Sunflowers, planted as poles for the beans. Beans that the ground hog has left alone this year! Big, beautiful and sweet wild blackberries right outside of our garden plot. My younger son was home for a few weeks and did the picking of these. Yum, yum. He is very experienced at foraging, doing the same with marionberries where he lives in the Seattle area. This is a soybean plant being grown for the young soybeans called edamame. First of all the groundhog ate most of these baby plants and stepped on others, so I was not too hopeful for my first attempt at growing edamame. So imagine my surprise when I pulled away from weeds to not only find a few plants that were growing but actually had pods on them. I'm sorry the pods are not more visible, but they are right in the center of the photo - woo hoo! A few photos from our current home. I am looking at everything in our yard knowing this will be our last August where we have lived for 22 years. There is quite a bit of nostalgia doing this, especially knowing we have put 22 years of work into our home and yard. Our one small cardinal flower next to our butterfly bush. This area of our backyard is butterfly and hummingbird haven, with just these two plants! August would not be August without having the summer breezes blow the intoxicating smell through my front screen door of the flowering bushes called "summer sweet". I will definitely need to plant these by the front door of our new home. I'm sorry that this is only a photo and not a smell! Our one phlox is finally blooming. It is not in a spot that has full sun so it blooms later than others I see in my neighborhood. Black-eyed susans to the left of the phlox and wood poppies (they bloom in the spring through June) to the right. Our front yard hummingbird and butterfly gardens. Goldenrod and asters are just starting to come into bloom for the end of year blossoms. This year I have weeded but done no "trimming" to keep the plants a bit more tidy. We are trying to hold them back off the sidewalk with string and bean poles, only somewhat successfully. One lone mum plant starting to bloom, somewhat "pooping out". I expect that it is tired since it came with us from Illinois 22 years ago. Still it gives us good memories of our first home. We have seen up to six frogs at a time this summer in our very small back-yard pond. I love to count the "plops" that I hear when I walk out the back door. I waited a while and then snuck up on this little guy to catch a photo of him after he hopped back up onto the stone edging from his hiding place. Honeybee on our mint flowers right off our deck in a "confined spot" so it does not take over all the other gardens. This is the very first year we have seen honeybees in our yard. We are wondering where the hive is! Lastly, a few views of our new home. SO MUCH to do. Only someone with a critical eye and good memory would be able to see the progress we have made. I think most people only see how much there is still to do. :-) The contrast between the 22 years of work we have put into our current home and the 22 years of neglect that this home and land had is striking and a bit sad. However, we have arrived to bring back the beauty and love that surely were here at one time (at the very least, must have been hoped for). Speaking of hope, our son found two asparagus spears (in August!) in an area that clearly had been a former garden, but was now so wild and overgrown that we finally just had it mowed. Hey, hey - a sign of hope! No one plants asparagus without long-term hopes, as it takes 3 years after planting the roots to actually harvest the spring-time spears. Thus, it is very clear to us that the former family of this foreclosed home did love their land and had high hopes before their life took an unfortunate turn. Tansy (my first), just starting to bloom out the back door. Trumpet vine (also my first). The plant is overgrown with other "stuff" and badly needs attention, but I can't wait to liberate it! There are also grape vines (not pictured) that need liberating. Our first "outbuilding", my husband's beehive. You can just see the smoke. My younger son (on the right) is the observer, his first time to see our honeybees. Yes, they love love love the flowers on the marjoram, wild thyme, and flowers that are everywhere on this land. Just some of the garlic harvested from our community garden that is now drying in the garage at our farm, to be planted at our farm this fall. Kaya keeping an eye on me as I keep trying to clear the path and tidy the sidewalk (weed, weed, weed) to the front door. Yes, we'll paint the door a different color. Although not pictured, poison ivy is everywhere, which slows me down a bit with the weeding. Shade Dog - "You work in the sun, Mom. I'm no fool!" We decided to name the batch of beer we bottled at home this past weekend "Shade Dog". Although we are still figuring out just how water is leaking into the basement of the house, one thing we'll be doing is adding water access in the basement so my husband can continue with his delicious hobby of home beer-brewing. We don't have many "lazy days" of summer, but we certainly have many enjoyable ones. I hope you do, too! Since 1999, proceeds from the sale of my book, A Dietitian's Cancer Story, have been donated to The American Institute for Cancer Research (AICR) in Washington, DC, where I established the Diana Dyer Cancer Survivors' Nutrition and Cancer Research Endowment. I know that is a very long name, but I chose it to help promote awareness of the need for research that focuses on nutritional strategies, either during or after treatments, to optimize the odds for long-term survival from cancer (as opposed to primary prevention of cancer) or the quality of life after a cancer diagnosis, both equally important and complementary goals. My selection this year is an unusual project, but one of urgent importance. I understand the need to financially support basic (i.e., early) scientific research to further understand the complex molecular mechanisms responsible for the nutrition and cancer connection, however, my preference is to support research that is closer to being translated into actions for patients (and the clinicians guiding them). The title of the project I have selected for 2009 is "Chemoprevention of her2/neu over-expressing breast cancers" by Dr. Margot M. Ip, at Roswell Park Cancer Institute in Buffalo, NY. Among the many interesting and worthy projects that AICR is funding in 2009 (all through individual financial donations), this project rose to the top for me. If Dr. Ip's new research will help confirm the unexpected observations in some of her previous work, the results will have immediate and important implications for women at risk for breast cancer (gosh, I think that might be all women!) plus those already diagnosed with the her2/neu genetic variation. Here is the thumbnail sketch of the background and the gist of the project my endowment is funding this year. Previous research has shown that conjugated linoleic acid (CLA) has anti-cancer activity. CLA is found in our foods, not in plants as the myriad of other health-promoting molecules collectively called phytochemicals, but in the fats of ruminant animals (cows, sheep, bison, goats, llamas) and in their products such as meats, milk, cheeses, and other dairy products. Highest amounts of CLA are found in the fat from animals that have been 100% grass-fed versus those who have been exclusively or partially grain-fed. However, CLA is not just one molecule, but instead, it is a collection of similar molecules with slightly different configurations called isomers. Aha! The devil is likely to be in those details of the 'slightly different configurations', especially when comparing the actions of each isomer in the body. The vast majority (~80% ) of CLA found in our food is the isomer called cis-9, trans-11 (or c9,t11-CLA) with a far less percentage being the isomer called trans-10, cis-12 (or t10,c12-CLA). The mixture of synthesized CLA isomers present in the dietary supplement capsules available to purchase contains less of the c9,t11-CLA isomer and much more of the t10,c12-CLA isomer than a typical food source. While most research to date has shown that both forms of CLA have anti-cancer activity, some unexpected recent results from Dr. Ip's lab showed that the form of CLA present in increased amounts in dietary supplements (the t10,c12-CLA) actually increased the number, size, and metastases (along with shortening life expectancy) in mice given breast cancer with the genetic variation that over-expresses Her2/ErbB2. t10,c12-Conjugated linoleic acid stimulates mammary tumor progression in Her2/ErbB2 mice through activation of both proliferative and survival pathways. Primum non nocere is a Latin phrase that means "First, do no harm." Hmmm, my brain is cranking here. Yes, Dr. Ip's finding is considered early research, with completely unexpected results, and is just one study in the compendium of observations that compose the larger picture of understanding the mechanisms of action of CLA. However, since ~1/3 of all women who do get breast cancer have this aggressive Her2/neu genetic variation (and don't know they have this genetic variation until their breast cancer tissue is evaluated), I think it would be prudent to be cautious about using a CLA dietary supplement that contains the increased amount of synthesized t10,c12 isomer of CLA that might increase risk of developing the cancer and also increase risk of spread and death. To heighten my caution about a person who has not been diagnosed with cancer using a purchased form of CLA (versus obtaining CLA from grass-fed food sources), the same Her2/neu genetic variation seen with aggressive breast cancers can be found in other cancer types, too! The actions of nutrients and other 'bio-active food components' (such as CLA) in our body are complex, with much much much still to be understood. It is possible that Dr. Ip's recent observation of the ability of the t10,c12 form of CLA to promote cancer in mice with this particular genetic variation will not be able to be replicated in her subsequent research, meaning that those first results could have been simply due to chance (yes, that can happen, which is why science advances only with repetition of results). Of course, it is also possible that any observable action in mice cannot be repeated in humans (yes, that happens, too). However, in the meantime, I think it is reasonable to think twice before consuming purchased CLA dietary supplements, which are frequently advertised to "burn body fat and enhance muscle growth". To compound my own caution, some published papers have reported results observed in humans consuming the synthesized forms of CLA that would not be favorable for reducing overall cancer risk, such as increased insulin resistance and an increased plasma marker for inflammation. I've already said this, but it is worth repeating. Nutrition is still considered a very young science, particularly as we try to understand how whole diet patterns, whole foods, and various individual components of foods can promote optimal health, not just prevent deficiency diseases. In particular, much is still to be determined about both safe and effective uses of both dietary supplements and the fortification of foods with various molecules (including CLA isomers). Thank you to all who have purchased my book in the past. It has been in print continuously since 1997, reprinted over and over again, with additions or tweaks in each new printing. As a refresher, my book (either the English or Spanish edition) is available to order from any bookstore, AICR by calling 1-800-843-8114, Amazon.com, and from my favorite local bookstore, Nicola's Books in Ann Arbor, MI ordering from either her web site or by calling 1-734-662-o600, where you may purchase a personally autographed copy to be mailed to you or someone else as a gift. Labels: Books, Cancer survivorship, Endowment, Food and Nutrition, What's New? The Utne Reader published the following article earlier this week. I only saw it this morning. In many ways, the author of this article did thoughtfully highlight some of the difficulties of incorporating reliable nutrition information into true comprehensive cancer care. The positive in this article is that a cancer patient is proactively seeking out reliable nutrition advice as a necessary component of his personal approach to true comprehensive cancer care. However, as both a registered dietitian (RD) and a cancer survivor, I can assure the author and other readers from my own experience that navigating the scope of nutrition information and misinformation available to a cancer patient today is mind-boggling and stressful, complicating an already highly stressful situation. The stress is compounded when a person has to try to seek out helpful (and reliable) nutrition information on their own, as I did because there was no RD at my cancer center in 1995, plus has to balance the pros and cons of information from multiple sources (i.e., friends, relatives, co-workers, strangers, the 'wide-open-west' of the internet, and various health care professionals). What is it going to take for all people diagnosed with cancer to not feel they need to take this aspect of care into their own hands but instead have a nutrition status assessment and appropriate advice included as an automatic component of their cancer care, done pro-actively and individualized to a person's own cancer, stage, anticipated nutritional consequences of the selected cancer therapy, while first taking the patient's prior medical history into account and then helping the patient identify and prioritize short-term and long-term nutritional goals to optimize the hoped for beneficial results of their cancer therapy plus overall health, wellness, and quality of life after therapy is completed? That was a very long sentence but still does not fully cover what an experienced RD with the Certified Specialist in Oncology (CSO) credential can offer to an oncology patient. Yes, in addition to the importance of including all food groups in the diet along a refresher about portion sizes (that is the starting point for some people), RD-CSO's will be able to help a patient sort out the info (i.e., the research showing what's known, what's unknown) about the Budwig diet and the other promoted anti-cancer dietary approaches, turmeric and other herbs or dietary supplements with anti-cancer activity, shiitake mushrooms and other foods with cancer-fighting components, whether weight gain, loss, or maintenance is recommended, and much much more. Nutritional care for oncology patients is very uneven in this country. Some outpatient cancer centers have RDs, some don't; of those that do, some are appropriately staffed but most are woefully understaffed; some rely on standards that an RD simply be "available" and certainly not a specialist (i.e. usually pulled from an inpatient oncology floor or even possibly other area to suddenly see a last minute, and usually complex, oncology outpatient); of those who have RDs, some centers include the professional costs of providing nutritional care as part of the "package", some require patients to pay extra; I could go on and on. • If you are fortunate to be receiving care at a cancer center that has an RD on staff (hopefully an RD-CSO), (1) make an appointment to see her/him or ask for a referral if needed, (2) please thank your doctor and cancer center administrator! Tell them you value this aspect of your cancer care. • If your cancer center is one of those that does not yet have an "up to date" RD as a member of their multi-disciplinary oncology health care team serving outpatients receiving cancer therapies, speak up and ask and ask (and ask again) "Why not?". Patient voices matter. Remember, you are the customer here! Yes, by all means, seek out the best cancer care for yourself, which hopefully will include an RD-CSO at your own cancer treatment facility. Doing so is giving yourself the best odds for both extending your life and optimizing your quality of life. Inch by inch, row by row, progress is made, however, much too slowly for the 1+ million newly diagnosed cancer patients each year in the US alone plus all the millions and millions of cancer survivors. Please add your voice and speak up at your cancer center, either to say "Thanks!!" if you are one of the fortunate patients whose comprehensive cancer care included nutrition or to ask, ask, and ask again "Why not?" if your cancer care is still not truly comprehensive. Please consider being part of the effort that is improving cancer care. I deeply thank you and so will all the patients that are still to be diagnosed. Michael Pollan, author of the books The Omnivore's Dilemma and In Defense of Food, addressed this question from multiple angles in a recent (and very lengthy) article written for the New York Times. I won't reiterate his thoughts. I'll let you read the article for yourself. I have been thinking about this same question, too, for many years. At least 25 years ago, I read an article in Parade Magazine that said cooking would go the way of sewing; that is, most people would know how to thread a needle and sew on a button, but very few people would be able to (or want to) sew every day clothes as was done in earlier days. Yes, those days are gone for the vast majority of people, for better or worse, and while I do own a sewing machine, only rarely do I pull it out. But not cooking? I found that thought both hard to believe and a source of dismay from a personal and professional perspective. Yet, I have been watching that happen. I remember the day a friend with a college degree in Home Economics told me, even before my first breast cancer diagnosis in 1984, that she found it hard to believe I actually made my own tomato soup from our home-grown, home-canned tomatoes rather than just opening a can of soup purchased at the grocery store. Still cooking from scratch in the early 80's, apparently I was already a novelty (dinosaur?) in my community of stay-at-home or part-time working moms way back then. However, I confess, even my family became enchanted with home-delivered pizza when it burst into a part of every day life in the late 80's. In fact, shortly after finishing chemotherapy for my second breast cancer in 1995, I looked at the large number of pizza delivery boxes in our recycle bin and thought to myself, "How did THAT happen? Nooooooot good at all for any of us! What else aren't we cooking for ourselves anymore? ", and even though I was still struggling with debilitating post-chemo fatigue, I made the decision on the spot to "go back to cooking again". I don't disagree with the many factors Michael Pollan gives as reasons for why we are eating the food we do and why we are not cooking. Additional factors can be added to the discussion related to feminist thoughts that the kitchen and cooking were identified as something from which to escape, i.e., 'woman's work' (even 'drudgery'), and at the very least, there is no disputing the fact that it is still the norm in most households for women to spend more time in the kitchen than men. However, when discussing possible reasons for why we have become so disconnected from our food sources, why we are eating processed foods high in salt, sugars, fat and low in fiber as our primary diet, plus why we are not cooking 'from scratch', one additional potential reason that I have not seen raised or discussed in any depth is that (by my observations) most people do not take a moment either individually or as a group to express some words of thanks, a grace or blessing, for the foods they are about to consume. • how cooking one's own food 'from scratch' and from thoughtfully chosen ingredients can positively impact all of these factors. My own path 'going back to cooking' plus cranking up my food choices from healthy to 'ultra-healthy' began in 1995 with a very narrow and deeply personal focus, to optimize my own health after a cancer diagnosis and the overall health of my family, which then evolved over the next 14 years in a step by step manner to embrace and integrate all these additional food factors as listed above into my daily thinking and actions, all of which had much wider impact than just my personal health. Each piece of information I was learning about the benefits of creating sustainable food and agricultural systems, each food choice, each new habit I put into place, was like adding another piece to a giant jigsaw puzzle, a section of a tapestry, or another square of an enormous quilt. However, while I was beginning to get a pretty good picture of the obstacles to healthy eating created by our current industrial food and agricultural systems (and how to overcome these obstacles), I had this vague but nagging feeling that I was missing something of importance and value to help hold this big picture all together. The thread that finally stitched this much wider view of food all together for me was a discussion with my friend Ruth where she described a class she was teaching at her church about gratitude. She shared her handout with me, on which she included several graces from a wide variety of religious and literary sources. Even though saying prayers of thanks before a meal was not part of my upbringing, except perhaps at holiday meals, I instantly understood that the act of expressing gratefulness prior to each meal for my many blessings, which included the healthy food I was cooking, was my "missing link". My husband and I have read the graces from Ruth's handout plus from the book Bless This Food:Ancient and Contemporary Graces from around the World by Adrian Butash on a daily basis for almost two years now. The moment it takes to read a grace before a meal gives me a connection to all lives and their ecosystems on our planet, and thus is a deeply spiritual act for me. I've likely gone out on a limb here with this posting, and I welcome your feedback to my initial thoughts about yet one more possible reason why people have become so disconnected from their food and don't cook, knowing that all reasons are very worthy topics for discussion and action (plus I fully understand that I have not even touched on the vitally important topics of accessibility to and affordability of good, clean, and fair food for all people in this posting). My deepest hope is that people will not need a health crisis like I had to open their eyes, mind, and their heart to expressing simple yet profound gratitude for their food, for an opportunity to make changes in what they eat, and for the opportunity and inspiration to either 'go back to cooking again' or begin for the first time with foods that are healthy for one's personal health plus the health of our families, our local communities, and our planet. I will end with two of my favorite graces. Therefore Earth, Water and Sun will become part of us. I have written in previous posts that I always start my week by lighting candles at the web site www.gratefulness.org; one candle of hope for all people on a cancer journey and two candles of gratitude for all cancer caregivers (professional and personal) and cancer researchers. On Wednesday, I lit a special candle for a 22 year old young man, the son of a friend, whose repeat CT (after 2 chemo-free months) showed a disappointing increase in size of the cancerous tumor he is fighting. The word 'disappointing' is a profound understatement. Here is a portion of an email message (and somewhat revised upon further reflection) I sent to some mutual friends from the perspective of a long, long cancer survivor. After much angst, sorrow, hand-wringing, and prayers comes a decision and peace along with the strength of conviction. No matter what course is chosen, 1000% conviction is necessary to step onto the path, be it conventional cancer treatments (currently accepted or experimental), alternative, a combination of the two, or supportive/hospice care. Getting past the shock and deep disappointment of the unwelcome news to then gathering enough reliable information to make an informed decision between all the options is the first set of challenges. And of course, our friend's situation is more complicated by the fact that the 'patient' is both her child and a young adult who has the right to and in fact needs to make his own decisions about his own life. I have not walked her shoes (my parents have with my childhood cancer diagnosis, treatments, and subsequent medical complications) and as such, I can only imagine the many uncertainties and angst (that appropriate word again) associated with this situation. After living most of my life with fear of what unknown horrible thing was coming next for me related to late-appearing effects of the cancer treatments for my childhood cancer, I finally had the epiphany (during a "2-week cry" after I was done with treatments for my second breast cancer) that I was allowing cancer the opportunity to kill me twice. Of course we all die from some thing at some point and the odds seemed likely that I could die from cancer or a cancer-related complication (#1). OK, deep breath, I could accept that. However, in addition, I finally was able to see that these chronic fears I had been living with (and working very hard to keep under the surface most of the time) were not only allowing cancer the opportunity to limit my life's choices but were also taking my energy and killing my spirit today (#2). Once I saw all of that clearly, I gasped, I 'woke up', I stopped crying (and feeling sorry for myself), I enjoyed a moment of defiance (no WAY would I allow cancer to kill me twice! ), and I felt free for the first time in my life. I think that is called peace or being in a state of grace. It certainly was a classic "defining moment" but also a moment of pure joy for me. It took me decades to get there, but thank goodness I got there! That moment (which I still remember as clearly as if it were this morning) is when I finally knew that my journey of cancer survivorship was going to be different this time around. The work and energy I had had to use in order to submerge my fears surrounding cancer could now be freed up for something of meaning and joy. (I was still a long way from a book, a web site, speaking, blogs, etc, etc, etc, and would have been incredulous if I was told that is what I would be doing during the next phase of my life!). Happiness, simple things, the joy of finding something new in an unexpected place. We are still discovering what gifts our new farm land holds for us. This small handful of wild blackberries is our second crop (the chive blossom vinegar being our first crop). Because of the thorns, I am reluctant to just barge in to pick all the lucious blackberries I can see. Again, a "loss" due to my past cancer surgeries (my surgeons have given me strong caution against risking potential life-threatening infections that can result from injuries to either right and left hands or arms after having large numbers of axillary lymph nodes removed during each of my two mastectomies). So this small crop is all I could pick easily and very very carefully. Thus, you can bet your bottom dollar that I savored the happiness and sweetness from eating each and every one, seeds and all. Next year we'll look for some thornless varieties of both blackberries and raspberries to plant as a way to hurdle right over those obstacles. Life and gardening are all about overcoming thorns, obstacles, losses, and hope. I have used the phrase "Active Hope" for years to describe my approach to cancer survivorship, that embraces an active (versus passive) hope by choosing activities that bring personal meaning and joy in order to optimize both quality and length of a life after cancer.